Check all your jobs to optimize planning. Plan based on the delivery date? Just use a filter. Same depth? Same strand? Concrete quality? All types of filters are available… You have a waste? 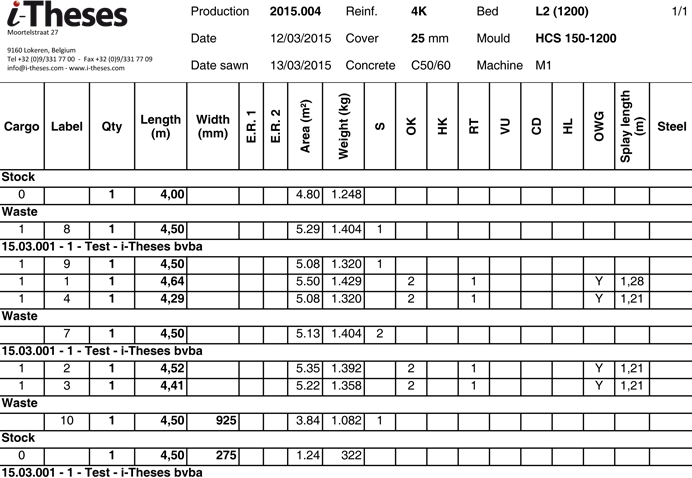 Check for a stock solution… Some post-processing jobs in dry concrete in your production? Covered! Can be done. Production on different plants? Not an issue, just a matter of configuration. The FloorDesk planners make the real difference in optimizing the production process. 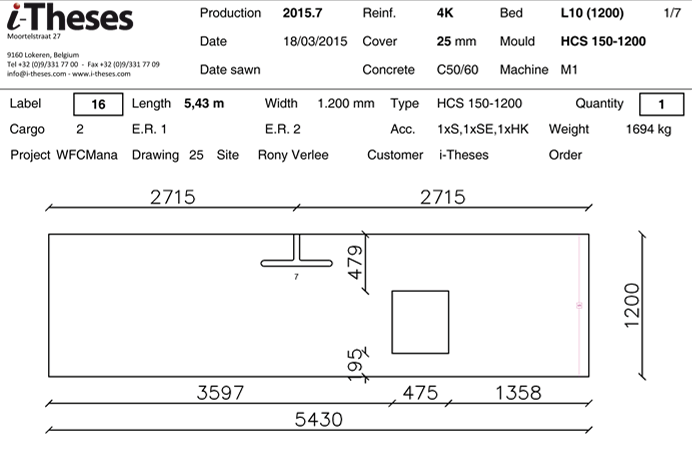 All production documentation like checklists, plate books per bed, production listings, sawlists, labels, link to CAM software and devices such as bed plotters, quality control are just a push of the button away. No CAD engine needed. An easy-to-use and dedicated fully graphical interface keep the learning curve very short. Multi user and integrated in the other FloorDesk modules? Of course!